The Marais Metal Chair is made of metal and can be used as a dining chair or as an accent chair. 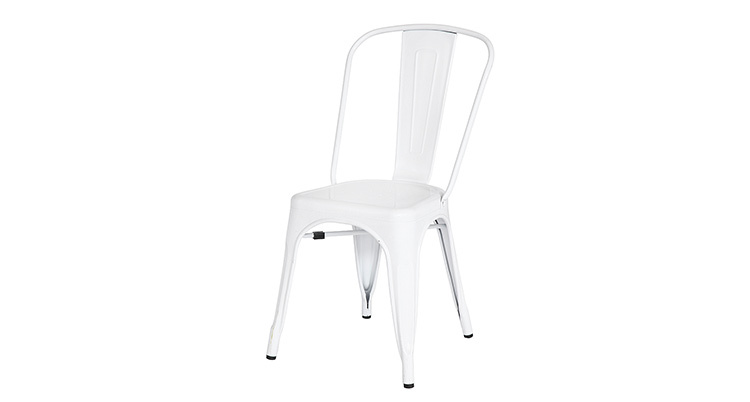 The Marais Metal Chair is available in silver, white and custom painted yellow. We also feature the matching Marais Metal Barstool in a variety of colors.